KUALA LUMPUR (Oct 6): BIMB Securities Research has maintained its end-2015 target for the FBM KLCI at 1,750. In a stategy note today, the research house said September was another month where both the equity and currency are widely expected to continue with their slide. It said that was until the economic stimulus delivered by the Prime Minister on 14th September may have effectively arrested the downtrend. The research house said though the ringgit still weakened 4.8% against the US Dollar during the month, it was the equity portion that saw some positive reaction despite the foreign fund outflows. “In fact the FBM KLCI nearly touched the 1,700 mark post-stimuli at 1,681 but subsequently eased back to current levels amid the persistent foreign selling. 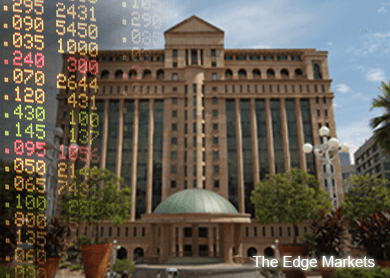 “At least we are now more confident that the local bourse may have seen the bottom at the 1,580 level as we believe the foreign selling though still exist are now at a more relaxed pace,” it said. BIMB Securities said interestingly, foreign shareholding as at end-September actually improved albeit slightly to 21.4% from 21.0% as at end-August. It said this was due to the increase in the non-strategic portion to 16.1% from 15.7% previously whilst the strategic segment remains at 5.3%. “We are still tenaciously keeping our year end FBM KLCI target at 1,750 premised on earnings growth of 2.6% and a 16.5x market PER versus the consensus figure of 2.2% and a range of 1,600-1,740 for the index hence placing us on the higher end of the scale,” it said.